Ravine Community has been a thriving organization since 1957 which puts emphasis on family. From September to June at our rural Hall we hold Jamborees on the 1st Saturday of the month with 50/50 draws and door prizes, and lunch available for $8.00. Septembers Jamboree proceeds go to Wildwood Ladies Aid Cemeteries. We have a Jamboree Weekend on the 2nd weekend of July, with a concession, refreshments and lots of door prizes and 50/50 draws daily. Weekend camping is available at Chip Lake Park or the Ravine Hall. Halloween activities for the children are held in October and a huge Christmas supper with Santa and gift bags in December. 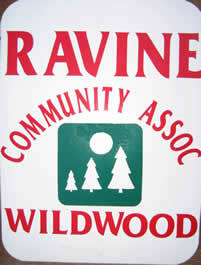 Each year Ravine Community Association hosts and donates to the Annual Wildwood Seniors Christmas Dinner. Ravine membership can be purchased for $5.00 and we hold our Annual Meeting the last Sunday of October of each year. Our wheelchair accessible Hall comes with a kitchen and can be booked for groups from 150 to 220 people for all occasions from Weddings, Showers, Family Reunions, Scrap booking, Funerals, Church Functions, Garage Sales, Birthdays, Anniversaries and Meetings. We are located 14.5 km. Northwest of Wildwood on RR 100 and TWP 544 just 3 minutes from Chip Lake Park which is also operated and managed by Ravine Community.